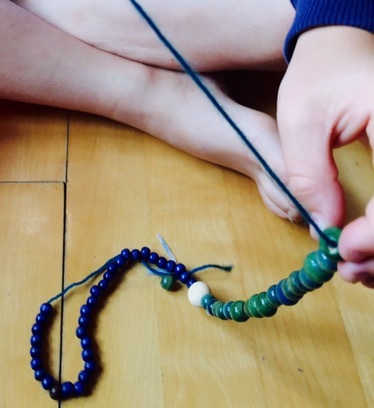 This is an activity for children to make a tasbih with wood beads and yarn. 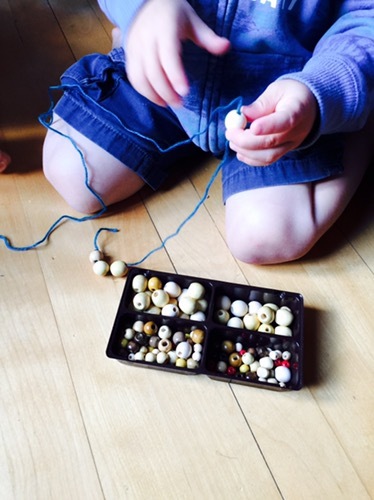 First we seperated the beads into groups of 33. 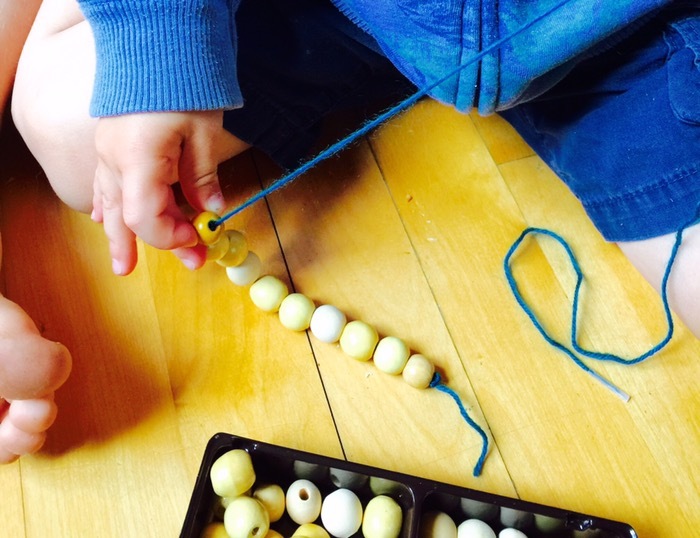 Then the children strung the beads in sections of 33 and separated each section with a larger bead. We put a piece of wound tape on the end of the yarn to make the yarn go through the bead. When the beads were strung I made a tassel at the end with the remaining yarn after the knot. 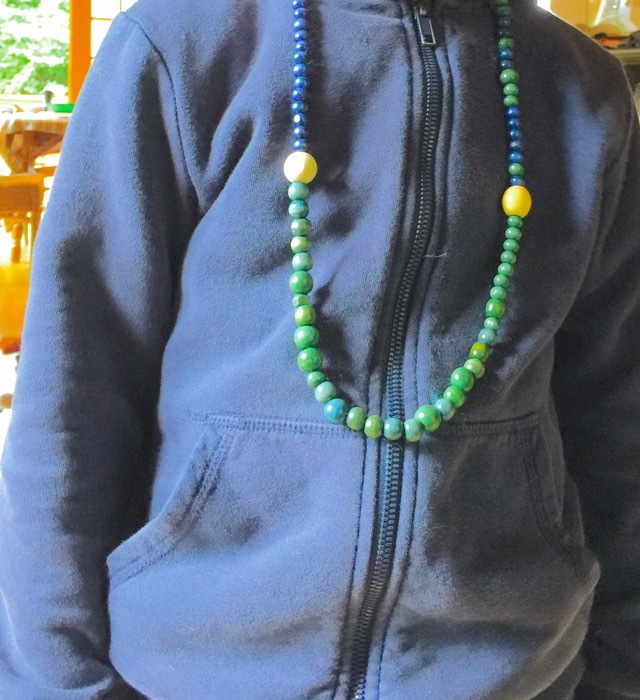 Then the boys were able to practice reading on their tasbih. 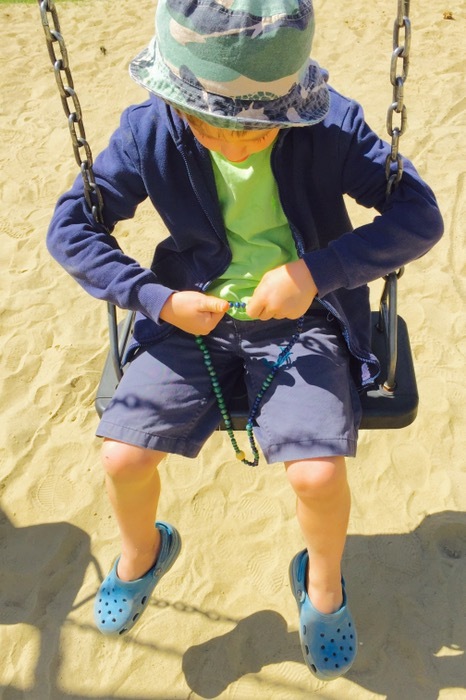 Please share your ideas for teaching children the practices of Islam.